It is a process where chemicals build up in your body over time. Some of these chemicals could affect your brain function. Perhaps you’ve been using the same brand of makeup for over 20 years. Did you ever stop to read the list of ingredients? 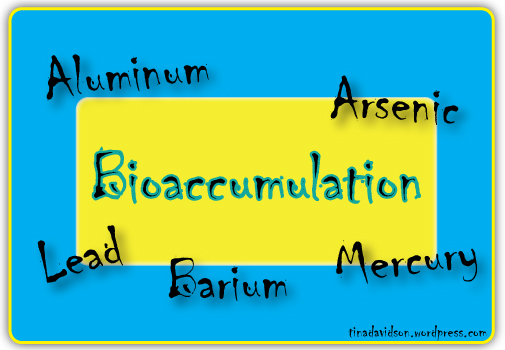 It may have miniscule amounts of naturally occurring metals that can build up in your system over time. Some of them, like lead, are actually neurotoxins, and should be avoided. You can get a crash course on toxicology on California’s new website, California State Cosmetics Program Product Database. Although I’m curious who or what group lobbied for this new database, I’m excited that it exposes potentially hazardous ingredients in cosmetics to consumers. Hopefully, Californians will then pressure manufacturers to use safer ingredients. Prior to my knowledge of this new database, I used (and still reference) the Environmental Working Group’s website, Skin Deep, to learn more about harmful ingredients in cosmetics. When I checked out California’s site and searched for “lead,” about fourteen products containing lead were listed. (I’m guessing there are more products out there containing lead but aren’t listed in the database.) One product, a “therapeutic” skin-moisturizer contained lead, mercury, and arsenic. I’m unaware of how mercury, lead, and arsenic moisturize, but remembering back to my 7th grade science project, Lead in Water, I am aware that the ingestion of lead can cause neurological damage and other ill effects. It is difficult to assess how all the chemicals in makeup, shampoo, deodorants, shaving cream, etc. are affecting people because each person uses their own “concoction” of offenders over different periods of time with each individual having different chemical sensitivities. This would be a tough study to undertake because there are so many variables. So, to be safe, read labels and check out databases if you are unsure of any ingredient. This is something in your power to control and your brain needs all the protection it can get! Let me know what you find! Did an ingredient in your mascara, shampoo, or soap make you think twice about using it again? In the winter of 1998, I fell in love– with a place, California Polytechnic State University (Cal Poly) in San Luis Obispo (SLO). Although I was impressed by the stellar academic programs and the incredible REC center, it was the sunshine that won me over. The unpolluted blue sky and lush green hills beckoned me to stay longer than my scheduled two-day visit, but, sadly, I had to leave and return to my college classes amid the dirty melting snow and grey skies of northwest Indiana. Luckily, I didn’t stay in Indiana for long. 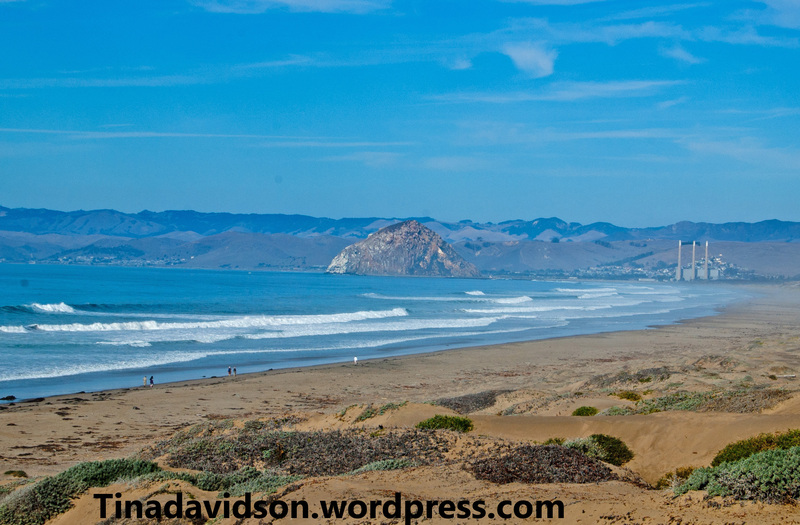 I returned to lovely SLO County one year later, graduated from Cal Poly, and have remained for over fifteen years (minus a few weeks every year for vacations). As a California native, never having lived farther than twenty minutes from a sunny west coast beach, it was a climate shock to my system when I experienced an Indiana winter. I had never heard terms such as “lake effect snow”, had never driven a car on an icy and snowy road, and definitely had never made a fool of myself slipping on ice trying to get to class. These were all “fun” firsts I experienced during my freshman winter at Valparaiso University (Valpo). I ended up staying through two winters at Valpo. The first winter I did ok. The second winter was tough. When the sun stayed away longer, the skies grew greyer, and the winter cold set it, I found myself hibernating in my dorm room. My friend, Laura, who lived a few doors down, knew not to disturb me, the grumpy girl, during my habitual nap time. I did not have the energy to keep up with my frigid surroundings. To cope with the winter blues, I loaded up on my favorite greasy-cheesy comfort foods, like macaroni and cheese, gained weight, developed acne, and slept a ton. I felt like a mess and longed for the sunny skies over SLO. Summer breaks in southern California were spent soaking up the sun in my parents’ backyard. Once home, and after a few weeks of “light therapy” while enjoying the outdoors, I felt energized, ate better, and exercised. Now when I look back, it makes me realize that Indiana’s winters brought on SAD (Seasonal Affective Disorder or recurrent winter depression). I am so thankful to live in SLO County, where the weather is perfect for individuals with SAD. Although dreary grey days exist, it is a land blessed with microclimates. That means it might be 60 degrees and foggy at the coast in the summer, but a 20-minute drive to the north-east will take you to a brilliant 90 degrees in places like Atascadero or Templeton. Or in January, due to a warm streak, it might be sunny and hover around 80 degrees right at the coast, with north county temperatures in the 60s. John Lindsey, a SLO meteorologist, does a good job describing this phenomenon in his article, SLO County’s battling microclimates. My brain rests assured that in the event of a foggy or grey day in SLO County, I can drive a few miles and experience a change in the weather, or stay at home, content, to gaze at my yellow walls. Sometimes I read books that are not specifically about the brain, but in the end (at least for me) I find a brain connection. That’s what happened with Colors for Your Every Mood. I was expecting a book about decorating tips, which it does include, but it also informs the reader about many fascinating psychological insights in regards to color choice. I learned how colors have been used historically, the traditions associated with them, and other interesting tidbits like avoiding orange and red in the kitchen because they are thought to stimulate your appetite. Check out her book if you want help bringing out certain moods in each room of your home, office, or school. Also, if you’d like more references or an overview of SAD, I suggest checking out the article, Seasonal Affective Disorder, from the The British Journal of Psychiatry. It cites another article with the full text available online, Pathophysiology of seasonal affective disorder: a review, that goes into more depth about light therapy and the role of neurotransmitters. To all my friends that I met at Valpo: it was an experience I would not trade, and I cherish the spring and fall memories. I’m just biased about living in California during the winter months. While I do enjoy yellow, my favorite color is actually blue–it is thought to evoke calmness and healing. What’s your brain’s favorite color? My resolution is to stop using the MICROWAVE. I want to be more conscious about meal planning. If I don’t have a microwave, I can’t wait until 10 minutes before dinner and heat up left-overs. Secondly, I’ve had the same microwave for 11 years. I feel a draft of air, almost like a fan blowing, when it is on and I’m standing near by. I don’t think this is a good thing. An article by Brain Clark Howard, “11 Surprising Facts and Myths About Microwave Ovens,” published on Good Housekeeping’s website states that microwaves can wear over time. Yikes, I’ve had mine a long time and never tested it for radiation leakage. Can anyone recommend a good electromagnetic field (EMF) detector? The scientist in me would like to conduct a few experiments before I e-cycle my microwave. Also, by getting rid of my microwave I gain valuable counter space. I might even designate this area my new sprout growing center. Did you know Mumm’s broccoli sprouts contain 50 times more nutrients than full-grown broccoli? Check out the Mumm’s website for a list of all the health benefits of eating sprouts. Find a You-tube video tutorial on growing sprouts and purchase some seeds and glass jars to get started. Your brain will enjoy the new novelty/hobby and will appreciate the added nutritional benefits of eating sprouts. 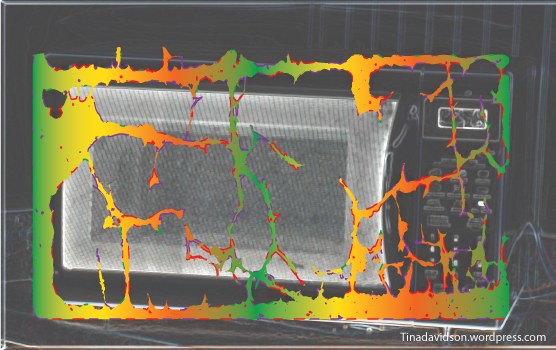 Lastly, there is conflicting information on whether a microwave “damages” nutrients in your food and whether possible effects contribute to neurological disorders such as Alzheimer’s, etc. Thus, good-bye microwave. I don’t want to take my chances if I don’t need the convenience and it is something I can live quite happily without. When researching the topic of microwaves and radiation, I stumbled upon the World Heath Organization (WHO) and discovered they have a team designated to EMF research because according to their website, “Potential health effects of exposure to static and time varying electric and magnetic fields need scientific clarification.” There are some EMFs that are natural and some that are man-made. Microwaves, cell phones, computer screens, anti-theft devices, security systems, radio, television, radar and cellular telephone antennas all emit EMFs at different frequencies and scientists aren’t 100% sure how they are affecting us. Thankfully, groups like the WHO and the American Academy of Environmental Medicine (AAEM) exist to provide more information about the effects of EMFs. The AAEM website has two **New** documents in regards to EMFs. Check out Wireless Radiofrequency Radiation in Schools: AAEM Calls for Wired Connections in Schools and Smart Meter Case Series. The food investigator, aka Food Babe, is adamantly against microwave use. She lists the top 5 reasons why you should get rid of your microwave on her website. Are you going to keep your microwave or perhaps use it less? Let me know what you decide! Cheers to a healthier brain in 2014!